The book tells us very little about the practice of what, for want of a better translation, is often called meditation or contemplation. Unfortunately both these words are misleading as they imply some object of meditation or of contemplation; and, if objectlessness be stipulated, then they may well be taken to lead to a blank or sleeplike trance, which is not at all the goal of Zen. Huang Po seems to have assumed that his audience knew something about the practice  as most keen Buddhists do, of course. He gives few instructions as to how to "meditate," but he does tell us what to avoid. If, conceiving of the phenomenal world as illusion, we try to shut it out, we make a false distinction between the "real" and the "unreal." So we must not shut anything out, but try to reach the point where all distinctions are seen to be void, where nothing is seen as desirable or undesirable, existing or not existing. Yet this does not mean that we should make our minds blank, for then we should be no better than blocks of wood or lumps of stone; moreover, if we remained in this state, we should not be able to deal with the circumstances of daily life or be capable of observing the Zen precept" "When hungry, eat." Rather, we must cultivate dispassion, realizing that none of the attractive or unattractive attributes of things have any absolute existence. Enlightenment, when it comes, will come in a flash. There can be no gradual, no partial, Enlightenment. The highly trained and zealous adept may be said to have prepared himself for Enlightenment, but by no means can he be regarded as partially Enlightened  just as a drop of water may get hotter and hotter and then, suddenly, boil; at no stage is it partly boiling, and, until the very moment of boiling, no qualitative change has occurred. In effect, however, we may go through three stages  two of non-Enlightenment and one of Enlightenment. To the great majority of people, the moon is the moon and the trees are the trees. The next stage (not really higher than the first) is to perceive that moon and trees are not at all what they seem to be, since "all is the One Mind." When this stage is achieved, we have the concept of a vast uniformity in which all distinctions are void; and, to some adepts, this concept may come as an actual perception, as "real" to them as the moon and the trees before. It is said that, when Enlightenment really comes, the moon is again very much the moon and the trees exactly trees; but with a difference, for the Enlightened man is capable of perceiving both unity and multiplicity without the least contradiction between them! To make use of your minds to think conceptually is to leave the substance [of Mind, Buddha] and attach yourselves to form. The Mind is no mind of conceptual thought, and it is completely detached from form.... There are those who, upon hearing this teaching, rid themselves of conceptual thought in a flash.... But whether they transcend conceptual thought by a longer or shorter way, the result is a state of BEING: there is no practicing and no action of realizing. That there is nothing which can be attained is not idle talk; it is the truth. If you would spend all your time  walking, standing, sitting or lying down  learning to halt the concept-forming activities of your own mind, you could be sure of ultimately attaining the goal. ...If you students of the Way seek to progress through seeing, hearing, feeling and knowing, when you are deprived of your perceptions, your ways to Mind will be cut off and you will find nowhere to enter. Do not keep them nor abandon them nor dwell in them nor cleave to them. Above, below and around you, all is spontaneously existing, for there is nowhere which is outside Buddha-Mind. Only awake to the One Mind and there is nothing whatever to be attained. Ordinary people look to their surroundings, while followers of the Way look to Mind, but the true Dharma is to forget them both. The former is easy enough, the latter very difficult. Men are afraid to forget their minds, fearing to fall through the Void with nothing to stay their fall. They do not know that the Void is not really void, but the realm of the real Dharma. So you students of the Way should immediately refrain from all conceptual thought. Let a tacit understanding be all! Any mental processes must lead to error. There is just a transmission of Mind with Mind. That which is called the Place of Precious Things is the real Mind, the original Buddha-Essence, the treasure of our own real Nature.... Where is the Place of Precious Things? It is a place to which no directions can be given.... All we can say is that it is close by. Many people are afraid to empty their minds lest they may plunge into the Void. They do not know that their own Mind is the void. The ignorant [seekers] eschew phenomena but not thought; the wise [seekers] eschew thought but not phenomena. If an ordinary man, when he is about to die, could only see the five elements of his consciousness as void; the four physical elements as not constituting an 'I'; the real Mind as formless and neither coming nor going; his nature as something neither commencing at his birth nor perishing at his death, but as whole and motionless in its very depths; his Mind and environmental objects as one  if he could really accomplish this, he would receive Enlightenment in a flash. He would no longer be entangled by the Triple World; he would be a World-Transcendor. "...his words were simple, his reasoning direct, his way of life exalted and his habits unlike the habits of other men. Disciples hastened to him from all quarters, looking up to him as to a lofty mountain, and through their contact with him awoke to Reality. Of the crowds which flocked to see him, there were always more than a thousand with him at a time." 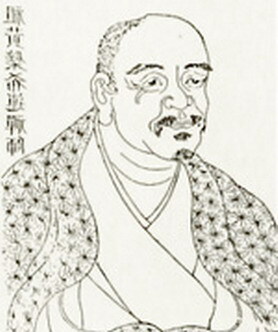 Thus P'ei Hsiu (pronounced pay shoo), a scholar-official of great learning according to Blofeld, described Huang Po (hwong bo; Huang-po Hsi-yün; Pinyin: Huángbò Xi-yùn; Japanese: Obaku Kiun), whose teachings he recorded for posterity. Blofeld also tells us that P'ei Hsiu was devoted to Huang Po, so we can forgive him if he may have used a little puffery in describing the size of the crowds always in attendance, but his description of the man rings with honest conviction. Lest you get the impression that Huang Po was mild-mannered, though, you might be interested to know that his teacher, Pai-chang (whose teacher was Ma-tsu), compared him to a tiger in his ferociousness. The present volume is a complete translation of the Huang Po Ch'uan Hsin Fa Yao, a ninth-century Chinese Buddhist text, much of which now appears in English for the first time. It contains a concise account of the sublime teachings of a great Master of the Dhyana Sect, to which, in accordance with current Western practice, I shall henceforth refer to by its Japanese name of Zen. Zen is often regarded as a uniquely Far Eastern development of Buddhism, but Zen followers claim that their Doctrine stems directly from Gautama Buddha himself. This text, which is one of the principle Zen works, follows closely the teachings proclaimed in the Diamond Sutra or Jewel of Transcendental Wisdom, which has been ably translated by Arnold Price and published by the Buddhist Society, London. It is also close in spirit to The Sutra of Wei Lang (Hui Nêng), another of the Buddhist Society's publications. But I have been deeply struck by the astonishing similarity to our text in spirit and terminology of the not-so-Far Eastern, eighth-century Tibetan Book of the Great Liberation, edited by Evens-Wentz and published by the Oxford University Press. In my opinion, these four books are among the most brilliant expositions of the highest Wisdom which have so far appeared in our language; and, of them all, the present text and the Tibetan Book of the Great Liberation present the Doctrine in a form best suited to the needs of Western readers. The Master said to me: All the Buddhas and all sentient beings are nothing but the One Mind, beside which nothing exists. This Mind, which is without beginning, is unborn and indestructible. It is not green nor yellow, and has neither form nor appearance. It does not belong to the categories of things which exist or do not exist, nor can it be thought of in terms of new or old. It is neither long nor short, big nor small, for it transcends all limits, measure, names, traces and comparisons. It is that which you see before you  begin to reason about it and you at once fall into error. It is like the boundless void which cannot be fathomed or measured. The One Mind alone is the Buddha, and there is no distinction between the Buddha and sentient things, but that sentient beings are attached to forms and so seek externally for Buddhahood. By their very seeking they lose it, for that is using the Buddha to seek for the Buddha and using mind to grasp Mind. Even though they do their utmost for a full aeon, they will not be able to attain it. They do not know that, if they put a stop to conceptual thought and forget their anxiety, the Buddha will appear before them, for this Mind is the Buddha and the Buddha is all living beings. It is not the less for being manifested in ordinary beings, nor is it greater for being manifest in the Buddhas. Q: What is the Way and how must it be followed? A: What sort of THING do you suppose the Way to be, that you should wish to FOLLOW it? A: Words used to attract the dull of wit are not to be relied on. A: If they are really men of high capacity, where could they find people to follow? If they seek from within themselves, they will find nothing tangible; how much less can they find a Dharma worthy of their attention elsewhere! Do not look to what is called the Dharma by preachers, for what sort of Dharma could that be? A: By conceding this, you would save yourself a lot of mental effort. Q: But in this way everything would be eliminated. There cannot just be nothing. A: Who called it nothing? Who was this fellow? But you wanted to SEEK for something. Q: Since there is no need to seek, why do you also say that not everything is eliminated? A: Not to seek is to rest tranquil. Who told you to eliminate anything? Look at the void in front of your eyes. How can you produce it or eliminate it? A: Morning and night I have explained to you that the Void is both One and Manifold. I said this as a temporary expedient, but you are building up concepts from it. A: I have not prevented you; but concepts are related to the senses; and, when feeling takes place, wisdom is shut out. A: Where no feeling arises, who can say that you are right? A: You are a man who doesn't understand what is said to him. What is all this about being mistaken? The Way is not something which can be studied. Study leads to the retention of concepts and so the Way is entirely misunderstood. Moreover, the Way is not something specially existing; it is called the Mahayana Mind  Mind which is not to be found inside, outside, or in the middle. Truly it is not located anywhere. The first step is to refrain from knowledge-based concepts. ... The Way of the Buddhas and the Way of devils are equally wide of the mark. The substance of the Absolute is inwardly like wood or stone, in that it is motionless, and outwardly like the void, in that it is without bounds or obstructions.... Those who hasten towards it dare not enter, fearing to hurtle down through the void with nothing to cling to or to stay their fall. So they look to the brink and retreat. This refers to all who seek such a goal through cognition. Thus, those who seek the goal through cognition are like the fur (many), while those who obtain to intuitive knowledge of the Way are like the horns (few).